Hello and Welcome to The HollowNet, The Millennial Conservative Resistance does indeed begin right here, right now with you! My name is Matt Holloway and I’m thrilled to be starting this journey with you here on the Lanterns Media Network. If you’re listening to my podcast you should probably know a little about me, I’m thirty years old, a husband to a very patient wife and a father of three wonderful little boys. I’m coming to you from just outside Phoenix, Arizona. I wasn’t born here, like many Arizonans I’m a transplant from the East Coast: New Jersey specifically. I was fortunate to grow up in a very conservative family from a very liberal state, I’ve been fighting this ideological ‘culture war’ since I was eleven years old knocking on doors for my Aunt’s mayoral campaign. Politics is something I understand extremely well, it’s in the blood, it’s what I’m bred for coming from a proud line of police, servicemen, bartenders and fishermen. I’m an avid student of history and a dedicated news hound. I live and breathe my faith in God, our Constitution and our founding philosophies. And I have a deep weakness for Science Fiction and PC Gaming that we’ll explore when we need a break from the heavy stuff. I studied Journalism and Broadcast before life interrupted. Since then I’ve studied the arts of sales and project management in the enormous classroom of real life and found some success there. But my heart has always been here, on the front lines with you in the battle for the American soul. Of late I have been a past contributor on TheBlaze.com, some of you may know me from there, I was also fortunate enough to cover The Trump Rally in Phoenix on Facebook Live for the Blaze as well as the 2016 Senate Race in Arizona covering Dr. Kelly Ward’s Primary run against Sen. John McCain. But that’s enough about me. As this is our first podcast we’re going to cover a lot of ground and we’ll try to keep in entertaining. First let’s talk about why we’re all here: The Goal of "The HollowNet" is to establish and nourish a forum of discourse and representation for the Millennial Conservatives amongst the other more traditional views of conservative vs. liberal and more than that to bring about earnest political conversation again. They say young conservatives are rare; I aim to prove them wrong. They say this election made us too far divided within the Republican Party itself, from libertarians and liberals to come together, we WILL prove them wrong. Tomorrow belongs to those who can unite America and return her to what she should be, the shining city on the hill: A place where a difference of opinion doesn't get you arbitrarily called a racist or a homophobe, where belief or disbelief in God, no matter how you believe is something to be celebrated not shamed, but mostly where everyone is accepted along with their various beliefs. I am proud to be a Millennial Constitutional Conservative; there is no shame in my political, religious and philosophical opinions. And I am done apologizing for them. We can live with those who believe differently in harmony, now it is up to them: Can they live with us? I do not believe and I refuse to surrender to the notion: that we have broken all bonds of patriotic fraternity and brotherhood beyond repair. We are all Americans, if you’re not American than you are human just the same and that brotherhood extends to all freedom loving people of the world. The statue of liberty says “Bring me your tired, your poor, your huddled masses yearning to breathe free.” She’s non-specific as to place of origin, ethnicity or faith. We’re going to discuss a lot of things here on The HollowNet every issue I can think of, News of the day, opinions on political and international affairs. Heck we’ll even talk Gaming, Film and Youtube between! I plan to have some exciting and insightful guests of many different philosophical and political opinions and affiliations. I can assure you, we’re going to disagree on a bit, but it is my sincere hope that we can rekindle the lost art of respectful opposition and friendly but fervent debate. Long story short: (I know too late) I do a fairly good job of frustrating both sides. There is no “safe space” here, trigger warnings are exclusively for the infantile and intellectually stunted and the term “Politically Correct” was a Soviet term for compliance with Party dogma, and you’re on the wrong channel for that comrade. This isn’t Fox, Breitbart, TheBlaze or Infowars nor is it HuffPo, MSNBC, The Young Turks or Occupy Democrats. 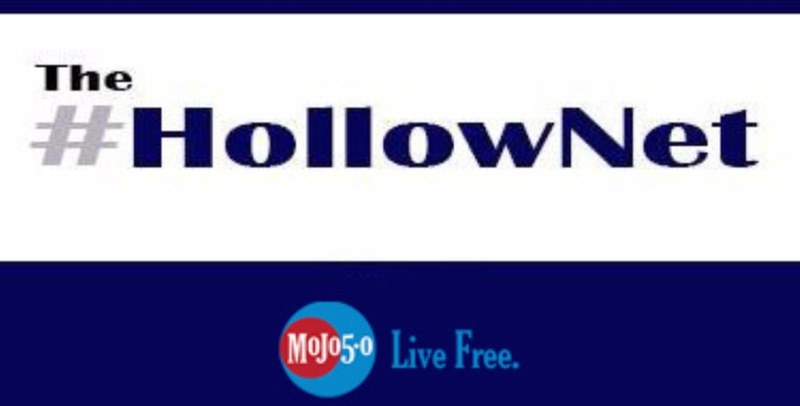 This isn’t your Daddy’s conservative talk show, this is The HollowNet on The Lanterns Media Network. This the where together we hold the line against the night of political fracturing and arbitrary hatemongering. This is where the Millennial Conservative Resistance begins, and no matter your political leanings, your race, creed, or color there is a seat for you at this table. I bring my opinions and views honestly, I only ask of you the same. Bring an open mind, bring your deepest held principles, leave the gender, race & privilege cards at home. Stick around, it gets bumpy from here folks.